Recently, we have been approached by couples who are getting married and want a little something (but not the gold-coated-almonds sort of little something) to give to their guests. 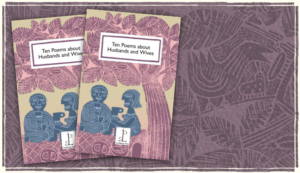 Their weddings sound wonderful and we like to think of our little pamphlets gracing their tables at the reception afterwards; we rather wish we could come too. 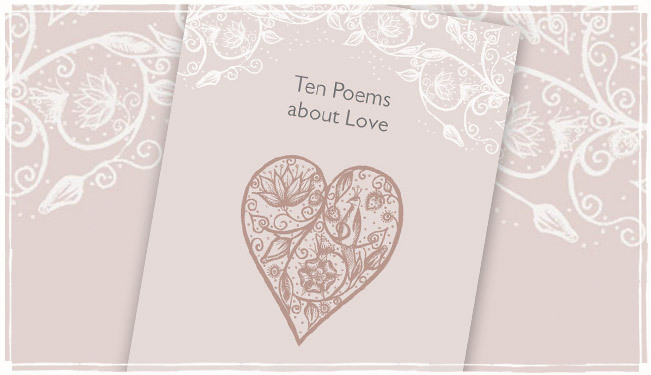 So in case you are likewise looking for something a bit different (or suffer from nut allergy) look no further than our beautiful Ten Poems about Love, the cover of which we have recently re-designed as pictured here. 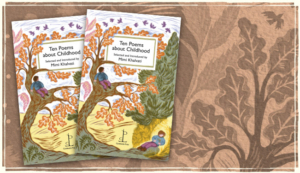 You can read which poets and poems are featured if you look on the ‘Pamphlets‘ page. When people are placing an order for a big wedding, we offer a discount. Couples can use the decorative bookmark to write a message to guests, and there is an envelope to place them in at table settings. As usual, all highly tactile and beautifully produced. 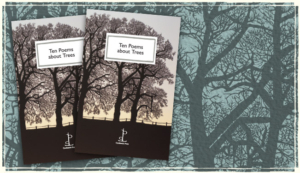 And of course, fantastic poems.